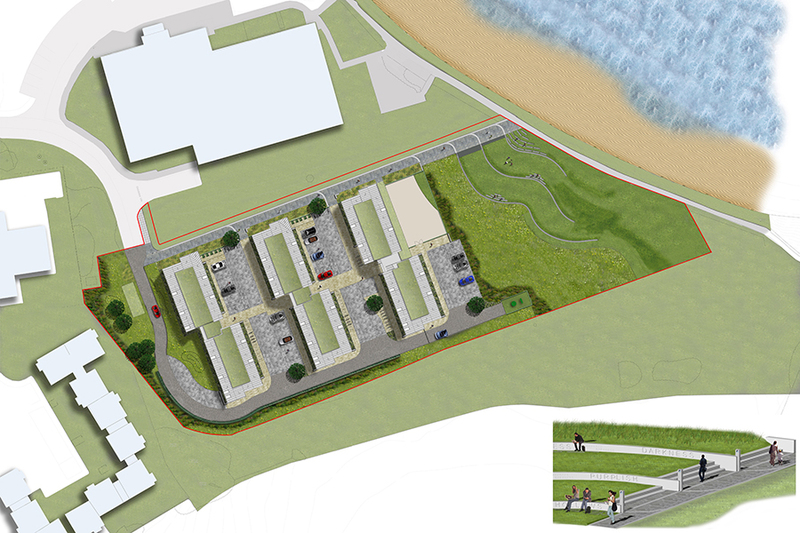 Fairhurst was commissioned by Alumno to provide full Landscape Architecture and Urban Design services to accompany a planning application for a challenging coastal site adjacent to the settlement boundary of St. Andrews. Following the successful application Fairhurst were novated to develop proposals into a construction package for completion in Autumn 2015. Alongside Fairhurst’s Planning and Engineering teams, the Landscape and Urban Design team has provided full Landscape and Visual Impact Assessment (LVIA) to inform the development proposal in terms of layout, massing and building line. The suggested site plan set out the extent of the development and associated open space which was then detailed to include hard and soft landscape design up to the construction stage. The team hasalso provided maintained design guidance to the project Architect to ensure that the design of buildings and the external space respects the onsite ‘protected open space’ designation, suitably responding to the existing context and landscape character of the site. As part of the commission, Fairhurst’s Landscape Architects created an artist’s brief, including continued liaison with the client, the artist and Main Contractor to deliver the completed integrated artwork sensitively into the public realm.